Photograph 1 – Along Lake Sherburne towards Many Glacier. In the Glacier National Park, Montana. 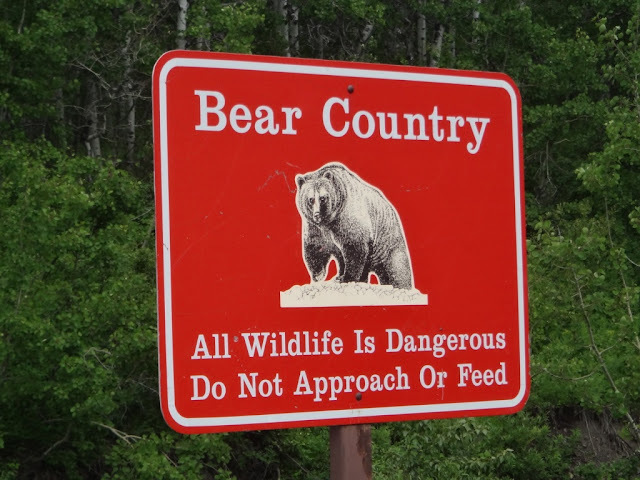 Photograph 2 – The sign says it all, taken along the Many Glacier Road near Babb, Montana. 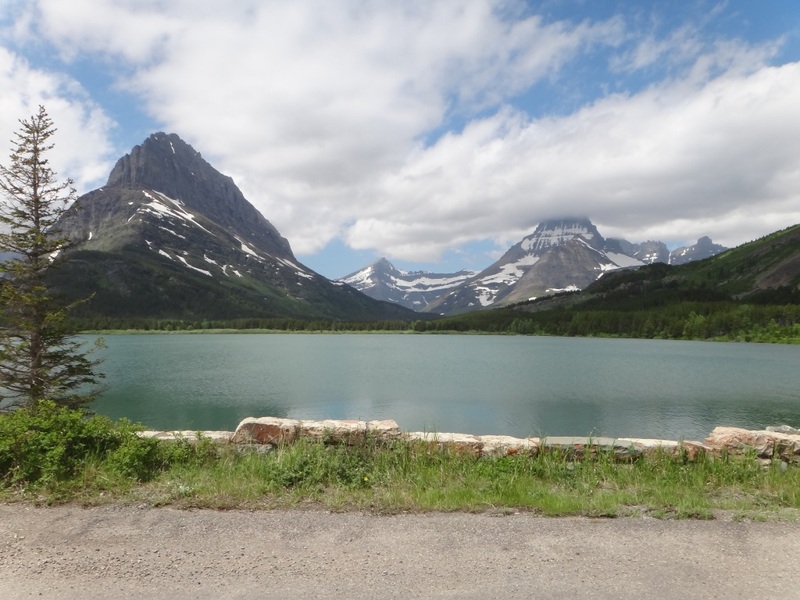 Photograph 3 – A beautiful scene of Swiftcurrent Lake heading towards Many Glacier. 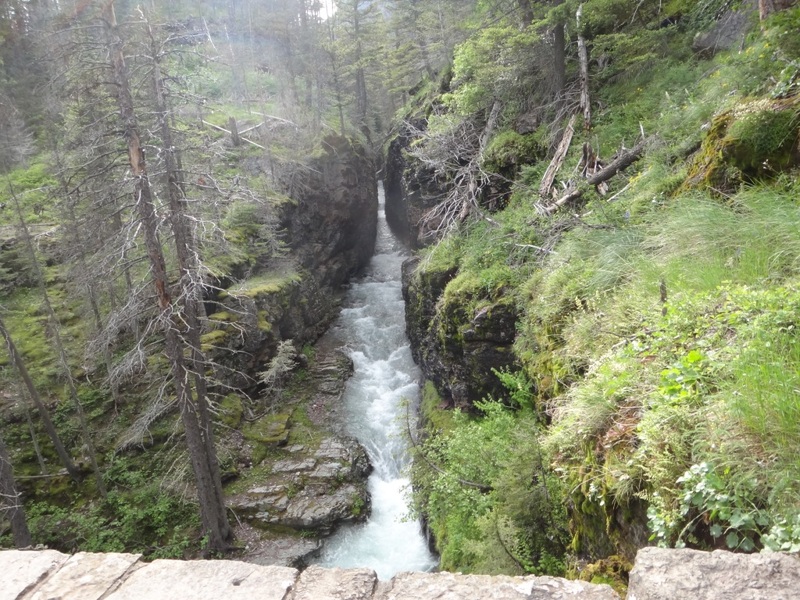 Photograph 4 - The fast flowing river separating Lake Sherburne and Swiftcurrent Lake, Many Glacier. 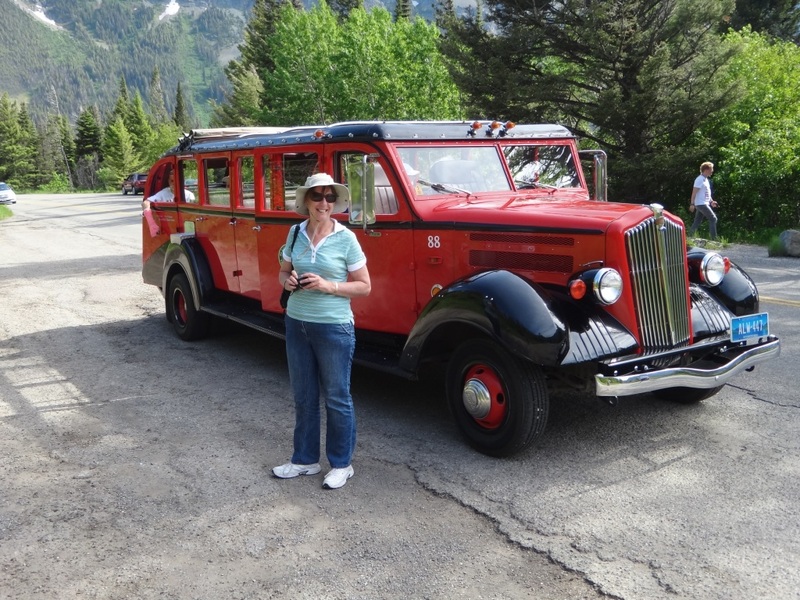 Photograph 5 – The Glacier Red Bus tour – this old veteran was built in 1936. 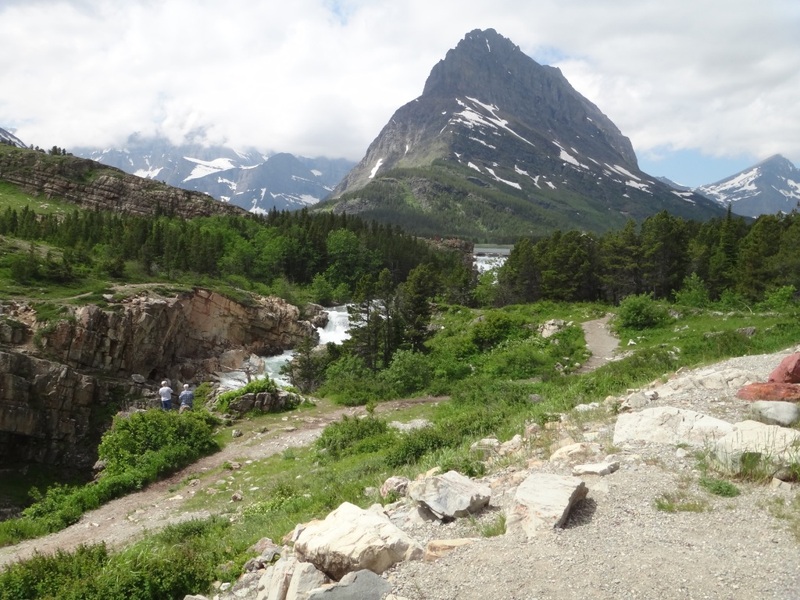 Taken near Wild Goose Island, Glacier National Park, Montana. Photograph 6 – View of Jackson Glacier one of the 20 or so glaciers left in the park. 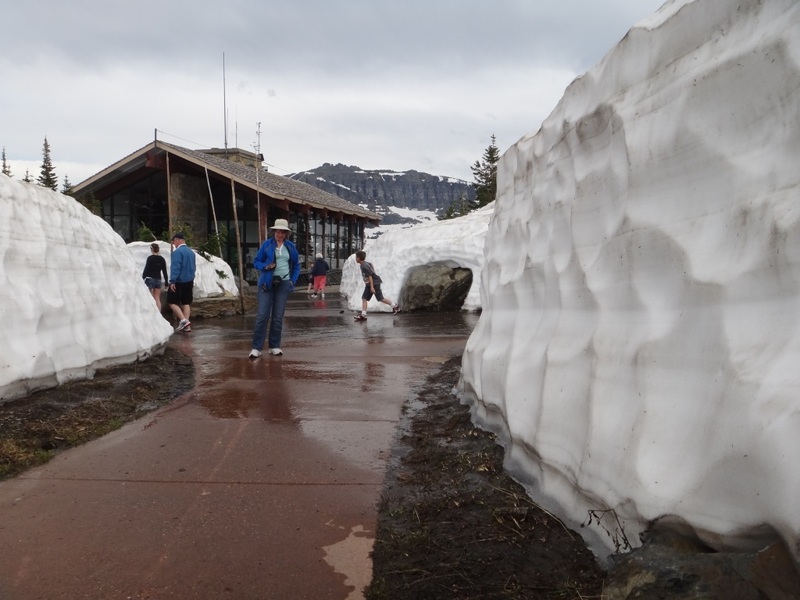 They say that 100 years ago there were 200 glaciers in the park – global warming!!! Photograph 7 – Travelling through a road tunnel near Logan Pass along the Going-to-the-Sun Road, Glacier National Park. Note the waterfall on the right. Photograph 8 – Approaching Logan Pass, Going-to-the-Sun Road. They say that all the ice and snow will be gone within a couple of weeks. 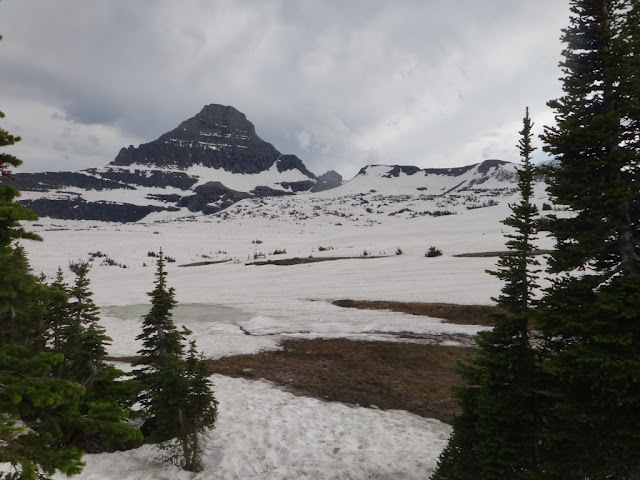 Photograph 9 – On top of Logan Pass, a mere 6,500 feet high. This is the continental divide line between eastern and western USA. Photograph 10 – Anne trying to find her way through the packed ice maze. On top of Logan Pass, Glacier National Park, Montana. Photograph 11 – The picture doesn’t do justice for this view. 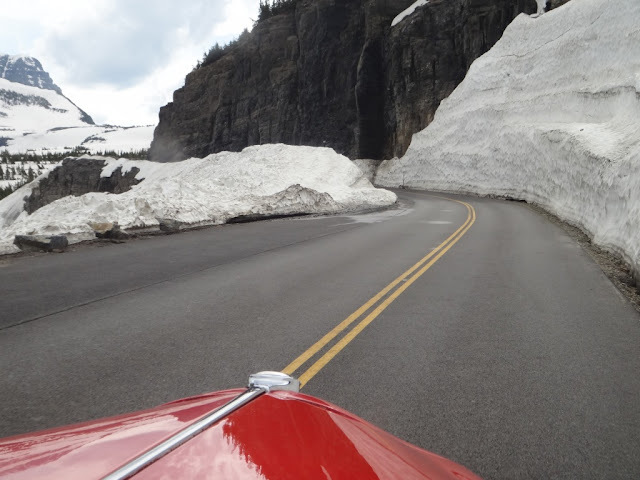 The tightly narrow Sunrift Gorge along the Going-to-the-Sun Road, Glacier National Park, Montana. It was a rest day today. About 10:30am we drove to Many Glacier (about 33 klms away) and checked out the lakes and mountains in the northern sector of the Glacier National Park. The scenes are similar to some of the fjords we seen in Norway many years ago. However, we believe that Norway is still number one in that category. We were warned about bears. Apparently it is rare they are seen on the road and especially not in the middle of the day. 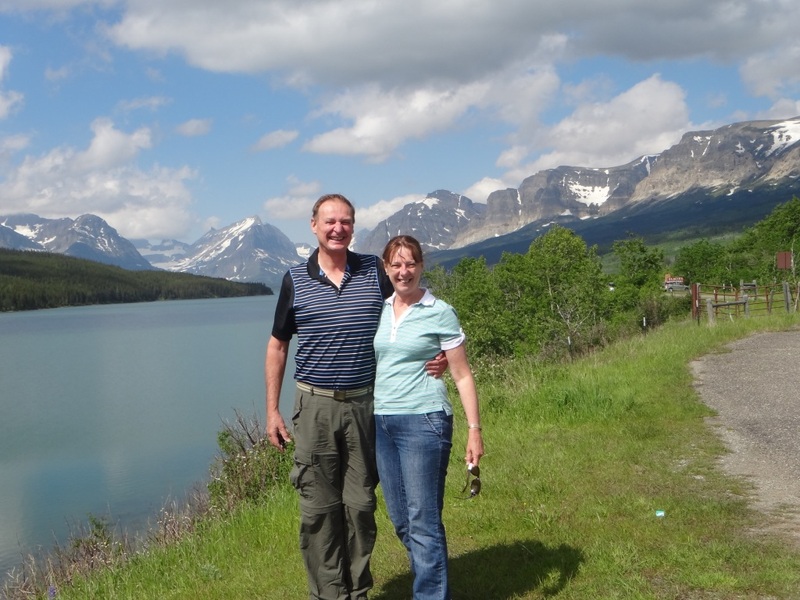 We only spent about two hours in this area and at one stage we were only15 kilometers from the Canadian border. Returning back to St Mary we had our lunch and slept a few hours in the afternoon – feels like we were back in Penrith on a Sunday afternoon! 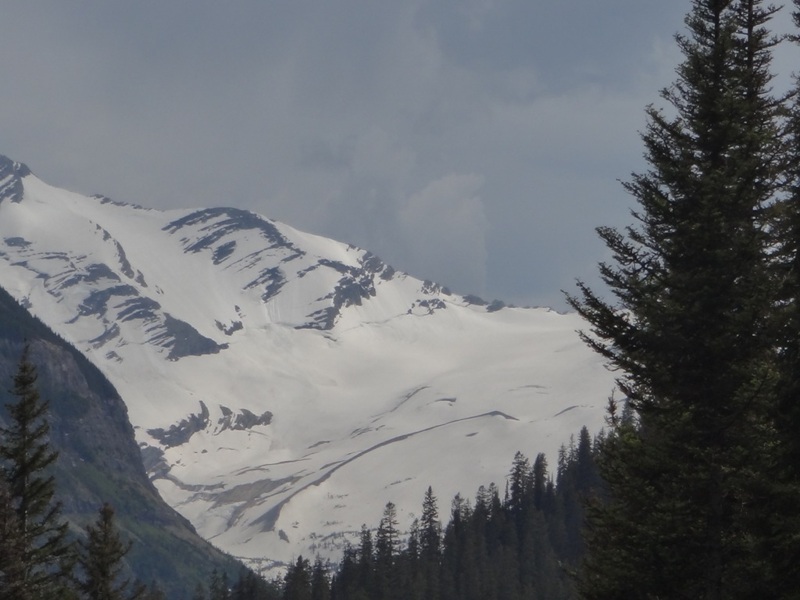 At 4:30pm we took a Glacier Red Bus tour from St Mary to Logan Pass. 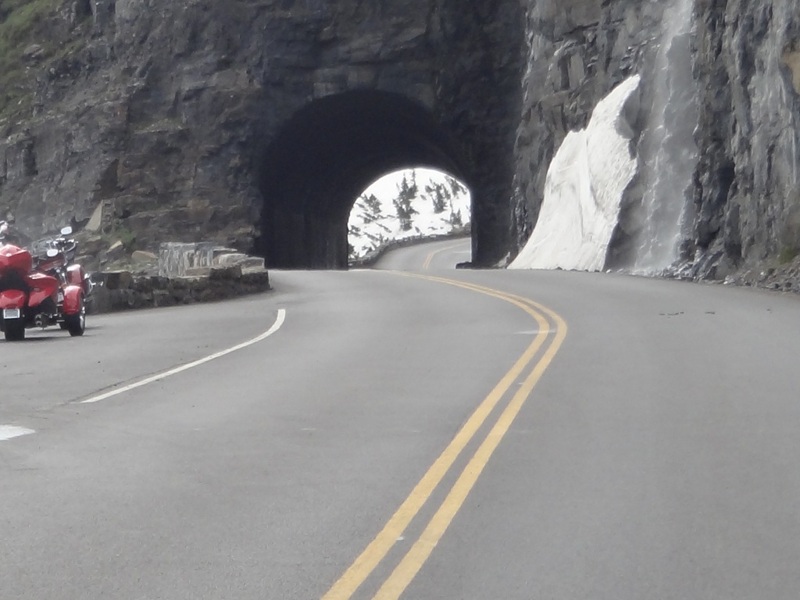 This drive travels along a scenic drive called Going-to-the-Sun Road. The red bus was built in 1936 (we thought that Bonnie and Clyde must of travelled on this bus at one stage) and holds seventeen passengers. It was a good experience. The driver (Eric) stopped at all the major vantage points and explained each interesting activities, geological features and historical aspects at each site. We returned at 7:30pm (still as bright as it was at noon) had dinner in an old fashioned diner and finished up for the day. The sun does not go down until 9pm at this latitude and time of year. We do not know what we are going to do tomorrow – it is another rest day. Perhaps we may drive Connie along the Going-to-the-Sun Road for another look see or perhaps we may go for a short hike nearby (we will take along some bear-spray we think!). Cheers.